Dusting, Vacuuming, Detailing, Disinfecting, All toilet cleaning, complete kitchen digressing, all rooms, cleaning, balcony(s) area and railing cleaning, stairs cleaning, Elmira cupboard cleaning, wood care shining, switch board cleaning. Ac (exterior) cleaning, window cleaning, fan exhaust cleaning, floor cleaning, sofa cleaning, chair and dinging table cleaning, croton cleaning. We use eco friendly chemical in sanitizing, shampoo and scrubbing. Are you looking for HOME CLEANING, HOUSE CLEANING SERVICES in Gurgaon, DLF Phase (Phase1, Phase2, Phase3, Phase4, Phase5) SOHNA ROAD, (sector 49, sector 41, sector 42, sector 45) Sushant Lok (Phase1, Phase2, Phase3), Sector 54, Sector 57, near Suncity and GOLF COURSE EXTENSION ROAD in GURGAON? 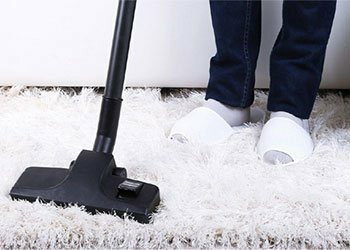 Shine Glow Professional house cleaning services providing company in Gurgaon offers House deep cleaning services near you. We offer Home deep cleaning services, house cleaning in DLF Phase 1, house cleaning in DLF Phase 2, house cleaning in DLF Phase 3, house deep cleaning services near cyber city Gurgaon, house cleaning in DLF PHASE 4, house cleaning in DLF Phase 5, Home Cleaning in Sohna Road, house cleaning in sector 49, house cleaning in sector 41, house cleaning in sector 42, house cleaning in sector 45, home deep cleaning services on SOHNA ROAD Gurgaon, house cleaning in Sector 54, house cleaning in Sector 57, House cleaning services in Sushant Lok phase 1, House cleaning services in SUSHANT LOK PHASE 2, House cleaning services in Sushant Lok phase 3, House cleaning services on GOLF COURSE ROAD in Gurgaon and We are also available in the all Sector in Gurgaon : sector 4, sector 5, sector 6, sector 7, sector 8, sector 9, sector 10, sector 11, sector 12,sector 13,sector 14,sector 15 ,sector 16, sector 17, sector 18,sector 19, sector 20,sector 21 ,sector 22,sector 23,sector 24 ,sector 25, sector 26, sector 27, sector 28, sector 29, sector 30, sector 31,sector 32, sector 33, sector 34, sector 35, sector 36, sector 37, sector 38, sector 39, sector 40, 43,sector 44, sector 46,sector 47,sector 48,sector 50,sector 51, sector 51, sector 52, sector 53, sector 55, sector 56, sector 58, sector 59, sector 60, sector 61, sector 62, sector 63, sector 64, sector 65. GIVE A CALL TO US ON 9810572601. WE WILL SERVE CLEANING SERVICES AT YOUR DOOR AT THE SAME DAY.